Pinypon are small collectable interchangeable dolls from Bandai. 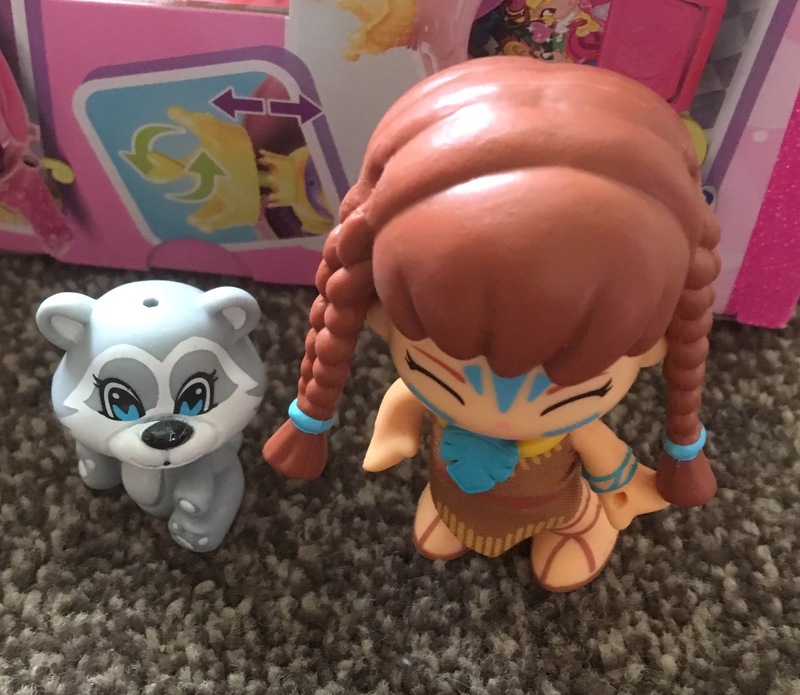 Each doll has its own name and personality but it’s parts and accessories can be swapped and changed with other Pinypons to make a totally different character. 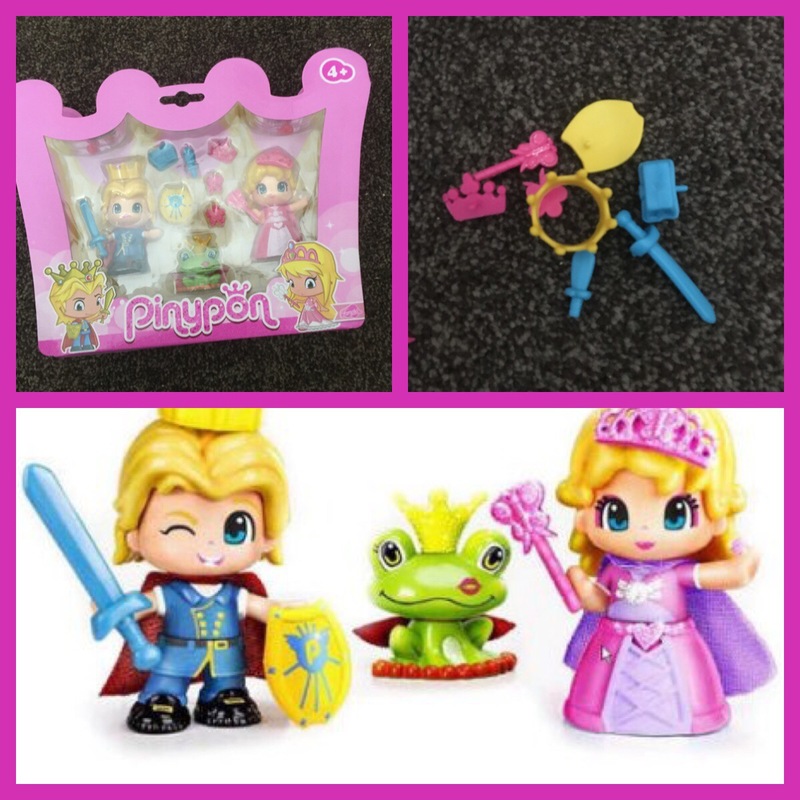 The Pinypon figures come with many themes including fairies, countries of the world, fantasy, sweets, princesses and tales. This is a prince and princess set and also comes with a frog. I think it may just be based on the well known fairytale – The princess and the frog. This comes with 3 figures and lots of little accessories which can be pinned into the figures at various points (holes). Pinypon heads are fully removeable as is the hair and the bodies come in 2 or 3 parts to easily change with other dolls. See how our princess now has the princes hair? Here are a few recognisable characters from fairytales. Each one comes with its own pet or animal figure such as the wolf with red riding hood and again a few plastic pin accessories to stick on. 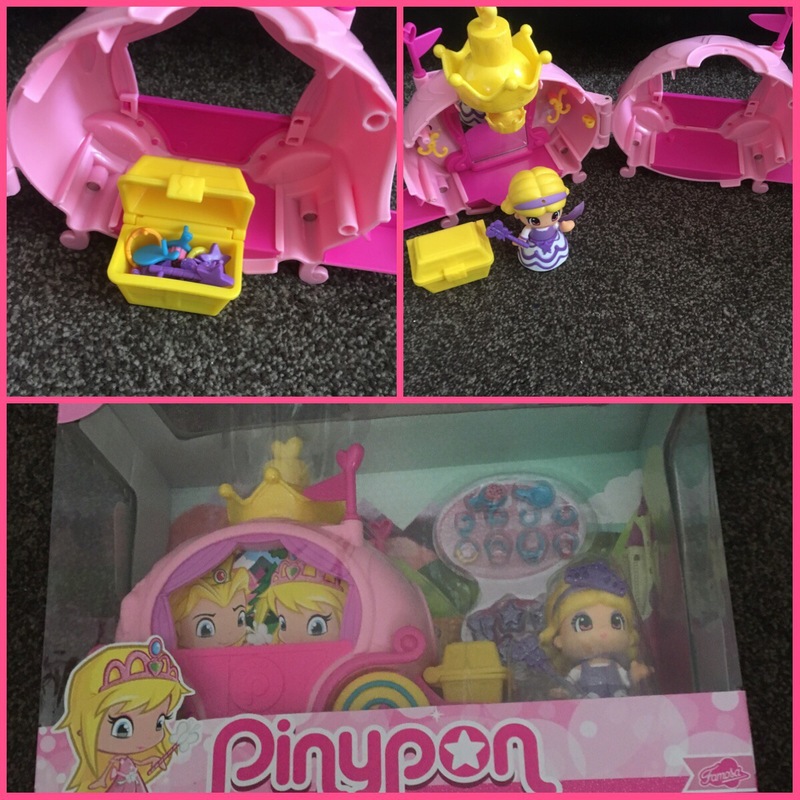 Pinypon also cone with a variety of playsets to use with the figures and build up a larger pinypon world. 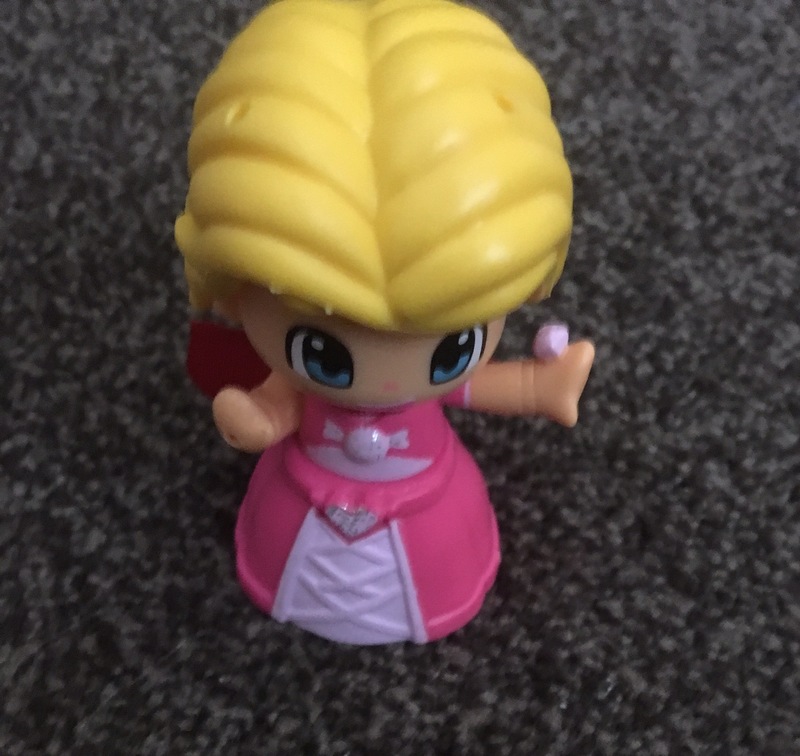 This is just one of them which works really well with the above princess figure set. It’s a carriage fit for a princess and comes with an extra figure who looks very much like she could be a fairy godmother. The carriage even has a mirror inside along with a treasure box full of lovely things. 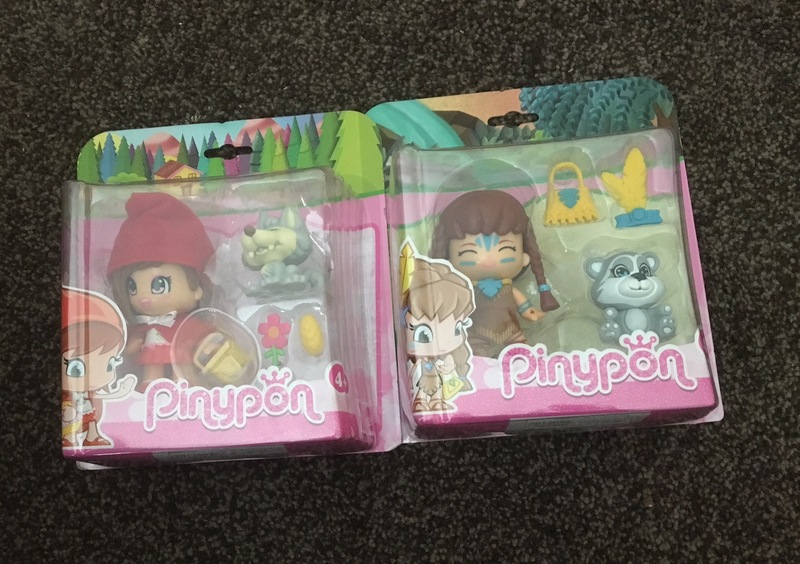 Pinypon figures and playsets can be purchased from many good toy stores and are priced from £3 upwards. My girls and especially so Izebella love them and already wants me to get her some more.